If your heart skips a beat every time you learn a new word, and you share a passion to write content for the web – welcome home! We give rise to words at the speed of light. We hate fluff. Everytime we type, we mean it. We are the startup people. 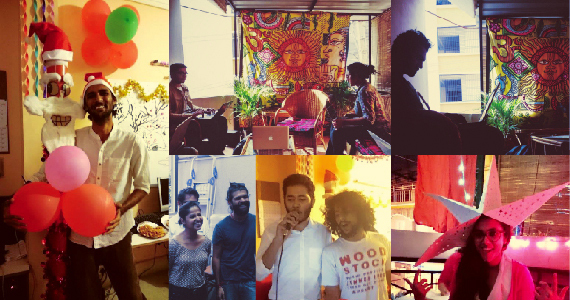 We are constantly growing – fast. As long as you can write, we don’t care about what you wear to work. We work on chai, coffee, and egg bonda. Want to know more? Drop in and we could chit chat over the aforementioned delicacies. Brownie points if you’ve written content before. If you haven’t, we love your adventurous attitude. Understanding and making client guidelines your bible. Tailoring kickass content to suit client specifications. Bringing style and structure to the table – consistently. Exploring territories like technical content, blog posts, product descriptions, category pages and other marketing collateral, fearlessly. Proofreading different styles of writing to present crisp and spotless content. With the diverse set of clients that we work with, you are constantly learning about new and cool things. As writers, we are always quirky in what we do and fun is an important part of our work process. We value your space and with us, you get exactly what you need. The environment we have built here will have you stay lost in your words (LOL JK bring your own headphones). While writing online, your words are going to strongly echo all through the world wide web. 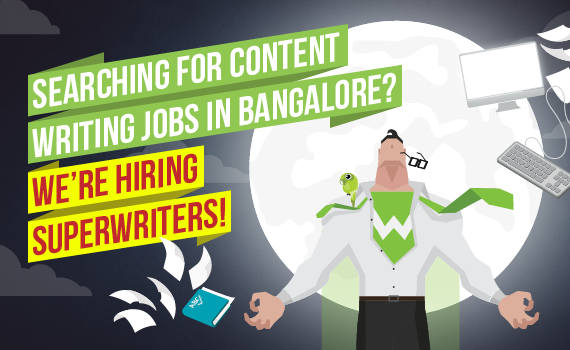 We are on the lookout for both fresh graduates and experienced writers to join the ranks of our superwriters. If you have what it takes, apply below.